Explanation: About 1,300 images from the Lunar Reconnaissance Orbiter spacecraft's wide angle camera were used to compose this spectacular view of a familiar face - the lunar nearside. But why is there a lunar nearside? The Moon rotates on its axis and orbits the Earth at the same rate, about once every 28 days. Tidally locked in this configuration, the synchronous rotation always keeps one side, the nearside, facing Earth. As a result, featured in remarkable detail in the full resolution mosaic, the smooth, dark, lunar mare (actually lava-flooded impact basins), and rugged highlands, are well-known to earthbound skygazers. To find your favorite mare or large crater, just slide your cursor over the picture. 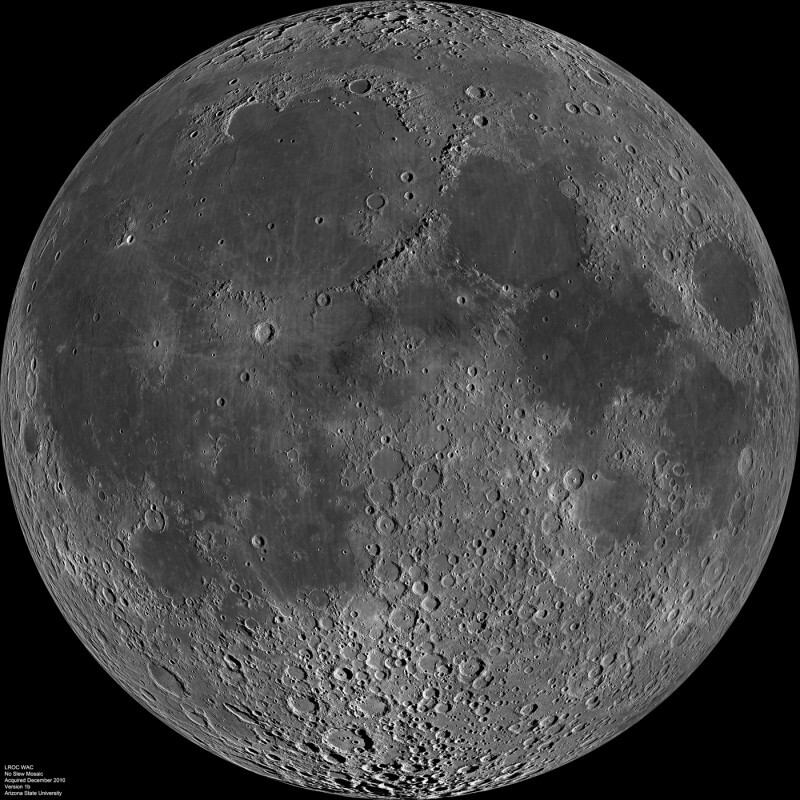 The LRO images used to construct the mosaic were recorded over a two week period last December.